The eCommerce industry is flourishing, and credit goes to the recent technological developments. 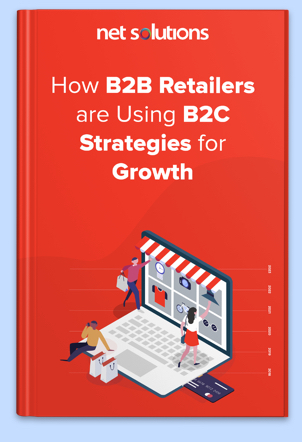 According to a research published by Statista, overall retail eCommerce sales was $1.86 trillion in 2016 and are expected to grow to $4.48 trillion by 2021. 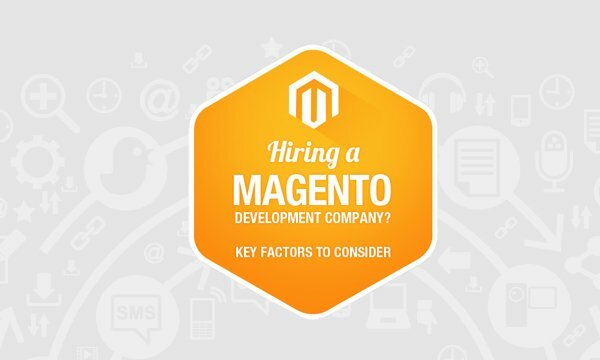 Magento is the most prominent and feature-rich open source platform in the world. With a blend of creativity and inspiration, it works wonders to make your eCommerce website stand out from the crowd. To avail the opportunity, many eCommerce stores around the world are now migrating from Magento 1 to 2 because of its various advantages. So far, we have written about Magento 2, migration from Magento 1 to 2, and why retailers must Migrate to Magento 2. 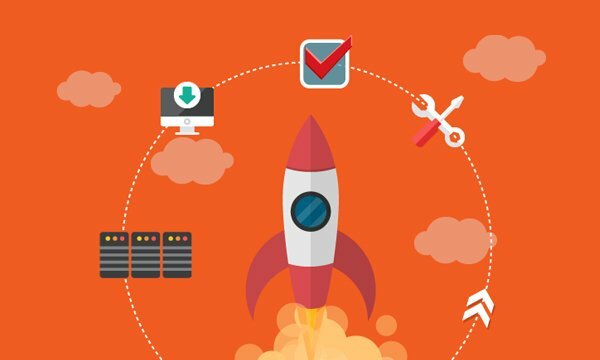 Here, in this blog post, we will be covering some of the best examples of Magento 2 eCommerce websites that will inspire you to either develop one for your business or improve your Magento 2 store with great ideas. Though Land Rover is a brand that specializes in the most acclaimed SUVs and all-terrain vehicles, they have a website that especially offers Land Rover stock in the form of clothing for men, women, and kids. It even sells gifts and other stuff, for example, chic keyrings, travel mugs, baseball caps, and so on. To perform well in online stores, they updated their web store to Magento 2 and added it to their main site. This allowed them to show special deals and products offered in carousel pictures with white background. As per Pingdom, the site has 81 percent of performance grade, the loading time of 6.33s and it is faster than 23% of tested websites. Helly Hansen is a big brand that was established in Norway in 1877. The first line of clothing was designed to help people stay and feel active in Norwegian severe climatic conditions. Nowadays, everyone can buy not only this clothing, but even a professional grade gear to stay warm, dry, and safe. Helly Hansen, built their website on Magento 2 platform back in 2016 to increase online selling. It’s a global website operating 30 stores and in 6 languages. It includes advanced integrations with WordPress and Salesforce amongst other websites. You can see various categories on the landing page that directs you to the listed subcategories. This helps users pick the most attractive products. The site offers waterproof jackets, outwear, boots and coats for men and women. Graze is considered to be the leading healthy snack food brand in the world. It was one of the main UK brands to get the Magento 2 pie developed an online shop in beta which went live in the week when Magento 2 was launched officially. The theme of their site focus on making a strong presence, and they produce networks of similarly invested individuals around the brand. There are a lot of best practices for running a useful Magento site that stands out because of their strong sense of identity, commitment to brand uniqueness, and image-focused approach to eCommerce. Graze store is much loved for its landing page, consistent navigation, and speed with Magento 2 which is designed to offer faster load times than earlier iterations. With the help of an appetite for digital experiments and learning, Graze worked with Inviqa to customize the Magento 2 checkout process, keeping speed and performance in mind, to achieve a better user experience. Byredo is a European site that offers perfumes, body and hand care, leather products, and so forth. It is one of the very sites that first migrated to Magento 2. The platform allows a website to have an improved organization, easier customization, versatility, and so on. The website design is moderate, which enables it to project the message to the clients. The few images shown on the landing page are sufficient to draw in visitors and convert them to paying customers. According to Pingdom, the website has a performance grade of 83, the load time of 4.38s and it is faster than 36% of tested websites. Fred Perry is a British line of fashion wear that is named after a former pro tennis player by the same name He launched this clothing brand in 1952. It offers a collection of sports and casual outfit and footwear for men, women, and kids. The site is very well targeted towards its audience and is clear about telling customers whether the Fred Perry style is appropriate for them. The brand understands that fashion is more about creating and selling clothing; it’s about developing a sporting culture and design with the help of clothing. Paul Smith is a British fashion designer who has expanded his business to an established eCommerce store. People love the structure of the site including the design, color, the balance, symmetry, and energy. The site is very useful to their customers and easy to navigate. Every product page has all that you require – from a wish list feature to a store finder, to a sizing guide, and care guidelines. To engage customers with interesting things, the website created a stories section where they get personal about their brand, ethos, and the general vibe they need to deliver. Nothing grabs your eye like the Brewshop’s landing page, and they’ve worked superbly to get visitors coming their brand with a short bio on the homepage. It’s clear that the customers want to understand how the BrewShop came to existence and bought into their brand. BrewShop, with the help of Magento 2, worked wonderfully on customizing their content such as a brewing glossary, starting home brewing, or brewing methods. This helps customers, who are new to brewing, in finding their product easily and also keeps customers coming back to the website. The Irish Store sells the best Irish products online by creating a desire for buying among customers. The website even offers a commitment to nurture and promote local sellers and creators of quality Irish products. The Irish Store was awarded as the best Magento 2 platform in 2017. The online store uses Realex payment extension which enables your customers to make payment for purchased products without leaving the checkout page. Also, this elegant Magento 2 eCommerce website offers a great navigation menu listed in their category pages to help customers in finding any product easily. As per Pingdom, the site has a performance grade of 75, the load time of 2.08s and it is faster than 69% of tested websites. Tom Dixon is an Iconic British furniture designer who once felt the need of developing an eCommerce website that could visually express the brand while at the same time providing great customer experience. Magento Commerce 2 enabled the brand’s passion and creativity and applied it to the online experience. High-quality content and imagery drive the look of the website, which is organized around specific customer experiences – Shop, Spaces, and Stories. ‘Shop’ was designed with an idea that customers should never get too far from product details and their shopping cart. ‘Spaces’ was created with an idea that interior designers and the customers wish to see products in hotels, restaurants, offices, and bars. Using Magento Commerce, the brand made its own version of Pinterest to grandstand the products in real-world spaces. ‘Stories’ is a modern way to deal with customary brand-focused blogs, motivated by customer demand for rich content that places products into context. The overall impact allowed Tom Dixon to make a best-in-class shopping experience that enabled his customers to drench themselves in every family of products and material groups. toom is one of the leading DIY and home improvement retailers in Germany. 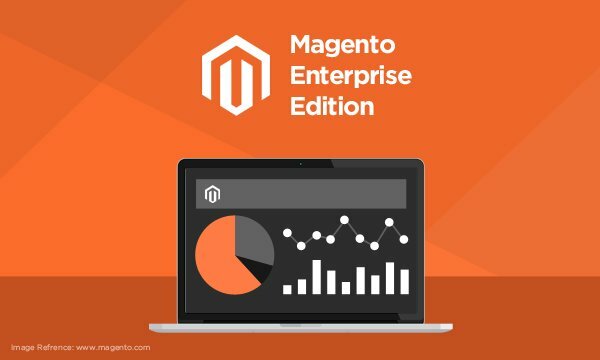 It’s Magento 2 site was launched in 2018 with the aim of boosting conversion rates, online presence, and providing the brand with the ability to sell products online for the first time. The site offers the ease where you can search products through large stock and product categories, which can be filtered relevance and price range. The team with the help of ReactJS made extensive use of Magento’s REST API to create a superior checkout experience developed by Inviqa Germany. They also extended Magento to accommodate toom’s complex and varied stock and pricing models, with different stock and prices across different markets. Why Magento 2 is Essential for eCommerce Development? Magento 2 has an easy-to-use admin panel where your confidential data can be hidden from lower level employees. You can even manage your entire eCommerce store configuration or minor changes on your own without seeking a developer’s help. All you need to do is follow a few easy steps. The Magento 2 version is responsive and you don’t need to shell extra money on making responsive designs for your app. With the help of Magento 2 website, you can target both on eCommerce and mCommerce market. Another virtue what retailers look for while developing an eCommerce site is user-friendliness. If a user finds it difficult to navigate your website or checkout process, there are chances that you may lose business. There are myriad customer-oriented features such as the wish list, account information, order history, order tracking, and so on. Likewise, Magento 2 offers integration with popular gateways where customers feel secure while buying from your site. The way you distribute flyers to promote your business offline, similarly Search Engine Optimization (SEO) is done to create online visibility of your eCommerce store. Magento 2 SEO features such as adding keywords, attractive title and description of your product and services help in listing your store in the search results of popular search engines. As compared to other platforms and frameworks, Magento 2 is highly secured. It has been created by fixing the flaws of the previous version. Also, it releases security fixes when a bug or issue is noticed. Checkout process plays an important role in every shopping site. If the checkout procedure in your store is mind-boggling, a customer will leave immediately leaving the process midway. They want a fluent checkout process. So, make sure that the checkout process should be easy in order to prevent cart abandonment. So, here they are, the best examples of eCommerce websites built on Magento 2 platform with reasons that why Magento 2 is essential for eCommerce development. Have you migrated or upgraded your eCommerce store to Magento 2? Not yet? It’s about time you did. Get in touch with us over email at [email protected] and request a FREE 30-minute consultation.